(See for satellite image and maps. ) cm. 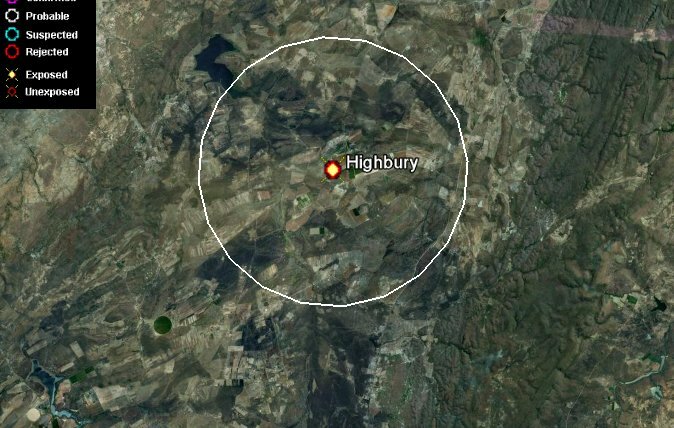 The Highbury impact crater is approximately 15km in diameter, and is located in northwestern Zimbabwe. 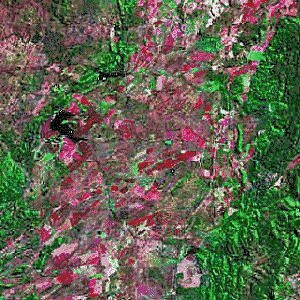 The structure was first recognized in Landsat imagery, because the circular shape contrasts strongly with its highly vegetated surroundings. The country rocks are arkoses and metadolomites, which are bordered on the east and west by sandstones and shales. All of these rocks have an age of approximately 2 billion years. The crater has an outer ring that is outlined by alluvium from the Munwa River, which forms an arc on the west side of the crater. The southern side of the crater is also defined by a tributary. The northeast part of the crater is bordered by alluvium from the Nyawenje River. The eastern part of the crater is bordered by hills made of sandstones and shales. 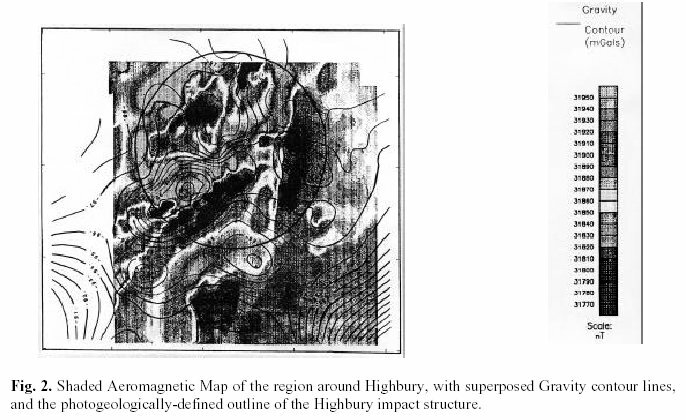 Highbury has a slightly elongate shape, and narrows slightly in the northwest. A central uplift structure is visible that is approximately 70m above the local terrain. 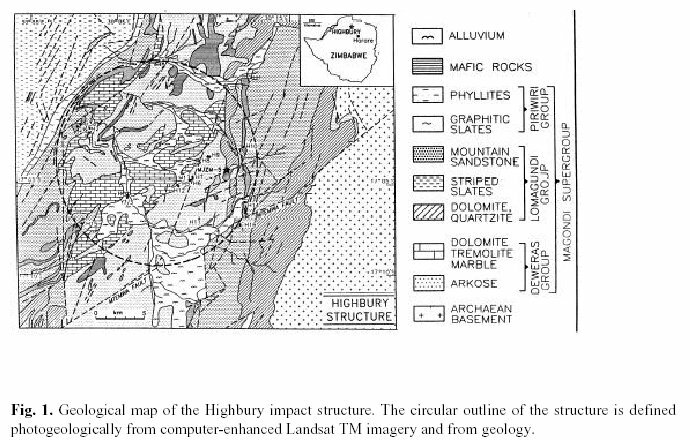 Rock samples from Highbury have evidence of shock metamorphism. Several samples have planar fluid inclusion trails and bands, which were probably created by microdeformation in quartz. Planar deformation features were found, but only in breccia samples. Unaltered glass was also found in the breccias, and can be used to date the crater. (Master S., Reimold W.U., Brandt D., Koeberl C., Robertson D., Antoine L.A.G., 1994). (Master S., Armstrong R.A., Brandt D., Ferraz M.F.F., Gumede T., Koeberl C., Reimold W.U., Robertson D.J., Woldal T., Zeil P., 1995).